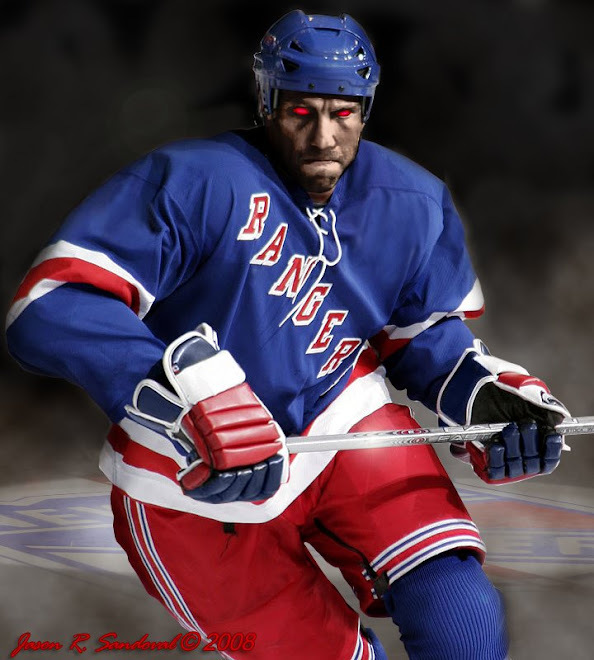 The Dark Ranger: Tough Torts produces results – for now. In addressing the media after a win Thursday (yeah, we got one… yes, US!) in the second of consecutive back to back games against the isles , Torts was quoted as saying that we need to be a team, rather than a collection of individuals trying to win hockey games. I’m sure it was welcome change from what he gave the media the night before when the most the frustrated coach could offer was close to a “I don’t f*ckin know what the hell their problem is …” and calling their effort unacceptable, before heading back to the lockeroom with a gleam in his eye that screamed “out of my way!” I can only imagine, he went back and went on a tirade that would have made Les Grossman (Tropic Thunder) proud. Who could blame him, right? Before we get to that, let’s take a minute grab a deep breath, pretend our fierce defense, murderous intent on checks, slick offensive passing and cannon-esque shooting had more to do with a 5-2 win that than anything the islanders didn’t do or resume after Wednesday night’s game. Yes 5 goals is something, especially if you consider it took us this long to score more than 2 again. Those of you out there saying “J, you sound as if you have no faith in this team..” ; I will respond to by saying, you sound as if you have forgotten. You can check out the official recap here. 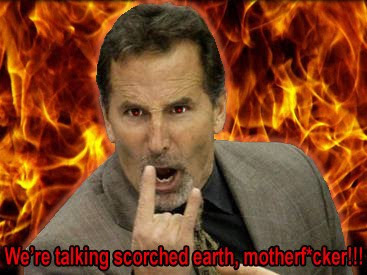 Well there definitely seems to be a few Ranger fans out there who turned on Torts already. Opinions that he lost the team are already beginning to circulate. Let’s not forget though, this team is the same flavor of vanilla that didn’t want to listen to Tom Renney’s pleading, begging and softsoaping either. So who will they listen to? Who will they play consistently for? Till next year, Happy Holidays… and may Santa bring you a 1st round pick that doesn’t turn out to be Hugh Jessiman, a superstar before he gets old, an enforcer that can fight and play hockey, a stay-at-home/shut down D-man…. and declare all our present No Trade Clauses, null and void.